Is an Emergency Tooth Extraction Necessary? Emergency Dentists USA provides a comprehensive listing of excellent Chandler emergency dentists who are standing by to ensure that your dental emergency does not destroy your fun when you spend time in Chandler. Our 24-hour live hotline makes it simple to speak with a representative who can assist you in scheduling an emergency dental appointment or in choosing the right dentist for your particular dental emergency. Great website full of super helpful information! If you’ve found this site and think you won’t need it in the future, think again and make sure to bookmark it. Emergency dental situations come up when you least expect it and this will help you or someone in your family get out of pain a lot quicker! Finding a 24-hour emergency dentist does not have to be a hassle when you have Emergency Dentists USA at your fingertips. Our convenient list of Chandler emergency dentists includes walk-in clinics, after hours dental services and the emergency dental services that you need to get out of pain and back out on the town. Walk-in dental clinics like Chandler Family Dentist offer walk-in dental care without the trouble of waiting days or even weeks for a dental appointment. Emergency 24-Hour dental clinics are open 24-hours each day are not available in Chandler, but dental clinics like Provinces Dental provide an on-call dentist to help you when you need emergency services. After hours dentists offer extended hours after normal business hours. Chandler Modern Dentistry Emergency Services offers evening appointments on Tuesday until 7 p.m. and on Saturday from 8 a.m. until 2 p.m. Located below you will find a comprehensive listing of Chandler emergency dentists who are standing by to address your dental emergency. You can scroll through our listings to find the right emergency dentist for your dental emergency or you can call our 24-hour hotline to speak with a live person who can help you to schedule a dental appointment right now. Description This sunny city is not a location where you want to fall prey to serious dental problems, and have to endure pain. If a cracked tooth or broken crown threatens your trip, just pick up the phone and quickly get ahold of the portal that can link you to a specialist, and hassle-free journey. Description: This dental practice can accommodate your need for a walk in dentist in Chandler, Arizona. With office hours running as late as 6:00 pm on most weekdays, and with appointment availability on Saturdays from 7:00 am to 3:00 pm, this is one place you definitely could benefit from. Payment plans include a variety of insurance coverages and credit cards. Description: With two dental practices in the area, you should be able to find a dentist open on Saturday in Chandler, AZ. Walk-ins are allowed, but you are advised to contact them at the number provided above to speak to the dental scheduling coordinator. Description: Dentist Joseph Allred, oral surgeon Bryan White, endodontist Jason Melde, and hygienist Adrian Wilson all join their superb medical forces to operate this stand-out clinic that is also open on Saturdays for your convenience. Description: Their practice seeks to provide individual care to its patients and they realize time is of the essence so they avoid double booking appointments to prevent unwarranted wait times. They also express that given that urgent and immediate dental care may be required at a moment’s notice, they are willing to work with your schedule; meaning that evenings and Saturdays are doable. All emergency calls are responded to in a timely manner. Description: The Smiles Chandler office is open weekdays until 6PM, and Friday until 3. You may be in search of help for root canal therapy, infection or abscess issues, wisdom teeth coming in early, or help with an injury to the jaw. All of the staff here has you as top priority when you’re at their clinic and are willing to help with your dental issues no matter what the scenario. Description: At this emergency dental clinic in Chandler, consultations and second opinions are always free, and patients have been very impressed with the level of caring and concern shown by every single employee here. Flat screen TV’s in the patient rooms, beverages served in the waiting area, and a sense of caring and honesty from every clinic member is what folks have grown to expect when they arrive. A Chandler emergency dental clinic is similar to your regular dental clinic in that both clinics perform routine dental procedures like x-rays and examinations, cleanings, and even fillings. Your emergency dental clinic also offers services like full mouth restorations. Gather your recent dental x-rays and any recent examinations to bring with you to your emergency dentist. This will help your new dentist determine the best way to treat your dental emergency. Arrive approximately 15 minutes prior to your dental appointment to allow plenty of time for asking questions and filling out that new patient paperwork. Ensure that your new emergency dentist accepts your payment method and you’ll want to check to see if they accept your dental insurance. Bring a current list of your medications to your emergency dentist. Let the dentist know if you have any allergies to medications. 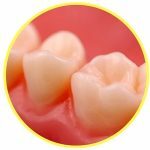 Do you have intense dental anxiety or fear? Let the dental office staff know about your dental fears and they can help you to relax during your treatment. A variety of dental emergencies can strike at any time during your visit to Chandler. Rather than wait out the pain and return home to see your regular dentist, Emergency Dentists USA offers a convenient selection of emergency dentists with office hours designed to make it simple to address your dental emergency. Some common dental emergencies include broken teeth or chipped teeth, teeth that are knocked out or partially extruded, or a tooth that is affected by a painful abscess. You might also find yourself with a horrible toothache, a soft tissue injury to the mouth that affects the teeth, or a broken wire or bracket on your braces. A lost filling can be a painful dental emergency or might be completely painless, but either way will need to be taken care of. When a filling is lost, the tooth below continues to decay due to the collection of food debris in the cavity of the tooth. If a filling is lost, you can close the cavity using a piece of sugarless gum to ensure that food particles do not enter the cavity. Do not use gum that contains sugar as this can cause pain when applied to the tooth. An abscess is a common dental emergency that can be extremely painful and even dangerous if not addressed quickly. 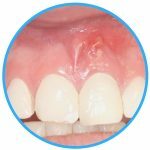 An abscess is an infection that occurs in the soft tissue of the gum beneath the teeth or even between the teeth. Rinsing your mouth with a mixture of salt and water several times each day can help to move the pus from the infection toward the surface of the gum. Often, your emergency dentist will prescribe antibiotics to help to relieve the infection. It is extremely important to see an emergency dentist as soon as possible if you suspect that you have an abscess. There are several types of accidents that could cause trauma to your teeth, including falls, sports injuries, and even car accidents. If the accident causes you to hit your head or damages any other part of your body, it is important to see a hospital ER physician as soon as possible. If the trauma in the accident only affects your tooth or teeth, you should visit your emergency dentist as soon as possible to save the damaged teeth. Injuries like a knocked out tooth can be repaired in a dentist office rather than in the emergency room of a hospital. It is possible that you might need an emergency tooth extraction if you have a tooth that has decayed beyond what a dentist is able to fix. You might also need an emergency tooth extraction if your tooth is crowding other teeth in your mouth. Your Chandler emergency dentist will usually begin the extraction by first taking an x-ray and performing an examination of the tooth. It is important to visit a dentist immediately if you suspect that you need an extraction because waiting can cause you to suffer more pain and to require prolonged treatment. The dentist uses a local or general anesthetic to make you comfortable during the extraction. He or she then chooses a special dental tool to pull the tooth from the gum. The gum is closed using sutures that dissolve over time, and the area is packed with gauze to control any bleeding. Full healing from an emergency tooth extraction generally occurs within one to two weeks. During this time, it is important to follow all of your dentist’s instructions carefully and take all medications as prescribed. If you are experiencing a dental emergency that is caused by an accident, a sports injury, or a fall that damages any part of your body, especially your head, you should visit a hospital emergency room before you head to your Chandler emergency dentist clinic. An emergency room physician can ensure that you do not have broken bones or any other injuries that need to be addressed before you get your tooth repaired. Visiting an ER for a toothache or a lost filling is definitely not the best option when it comes to prompt tooth care. The emergency room is not designed to handle dental emergencies and often, the ER doctor will require you to visit a dentist following your ER examination. This means that you are stuck paying for an ER visit along with a dental visit when only a dental visit was necessary for your treatment. Your emergency dentist is fully qualified to treat any dental emergency. All dentists should be vetted prior to visiting one for the first time. 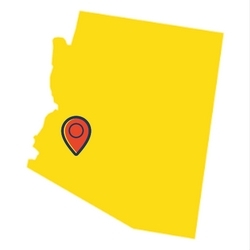 We suggest that you take a look at your possible emergency dentist utilizing sites like this one: Arizona Dental Association. This website also offers excellent information regarding dental procedures as well as current licensing and credentialing information. You can also use the Arizona Dental Association website to check licensing requirements in the state of Arizona and to find some great information on oral health. Who’s the best emergency dentist in Mesa, Arizona?